The ECJ’s judgment in the case of Associação Sindical dos Juízes Portugueses (Case C-64/16) is noteworthy for two reasons. First, it is arguably the most important judgment since Les Verts as regards the principle of the rule of law in the EU legal system. Secondly, it comes close to being the EU equivalent of the US Supreme Court case of Gitlow as regards the principle of effective judicial protection (Gitlow led to the progressive application of the US federal Bill of Rights to all state norms even when the states act within their own sphere of competence: see AG Sharpston here for a brief account). The very existence of effective judicial review designed to ensure compliance with EU law is of the essence of the rule of law … It follows that every Member State must ensure that the bodies which, as ‘courts or tribunals’ within the meaning of EU law, come within its judicial system in the fields covered by that law, meet the requirements of effective judicial protection. … In order for that protection to be ensured, maintaining [a national] court or tribunal’s independence is essential. The Court’s ruling in Case C-64/16 may be understood as the Court’s answer to the worrying process of ‘rule of law backsliding’ first witnessed in Hungary and now being seen in Poland. This judgment essentially establishes a general obligation for Member States to guarantee and respect the independence of their national courts and tribunals. What is particularly noteworthy is that the Court has done this solely based on Article 19(1) TEU read in light of Article 2 and Article 4(3) TEU. This reasoning should hopefully lead the Polish government to stop repeating the ludicrous claim that it can introduce whatever judicial ‘reforms’ it sees fit as the organisation of national judiciaries falls outside EU competence. (In any event, the Irish courts have just decided to ask the ECJ whether European Arrest Warrants issued by Poland must be executed, in light of rule of law concerns; see also this review of the recent ECJ case law on EAWs and human rights). Before examining how this judgment may prove to be a potentially decisive shot across the Polish bows as first noted here by Michal Ovádek (section 4), the facts and outcome of this case will be briefly presented (section 2). This post will also seek to tackle the most challenging ‘technical’ issue raised by this case: when can one challenge a national measure under Article 19(1) TEU, now considered a self-standing provision? It will be submitted that the Court’s approach, which is centred on the notion of ‘fields covered by EU law’ and merely requires the existence of a virtual link between relevant national measures and EU law, is ground-breaking yet compelling (section 3). 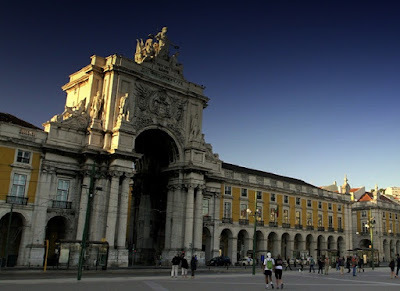 In 2014, the Portuguese legislature introduced a temporary reduction in the remuneration paid to the persons working in the Portuguese public administration, including judges. The Associação Sindical dos Juízes Portugueses (ASJP), acting on behalf of members of the Tribunal de Contas (Court of Auditors), decided to challenge the salary-reduction measures on the main ground that that they would infringe ‘the principle of judicial independence’ enshrined, not only in the Portuguese Constitution, but also in EU law, in the second subparagraph of Article 19(1) TEU (‘Member States shall provide remedies sufficient to ensure effective legal protection in the fields covered by Union law’) and Article 47 of the EU Charter of Fundamental Rights (Right to an effective remedy and to a fair trial). This issue was then subsequently referred by the Portuguese Supreme Administrative Court to the ECJ for a preliminary ruling. What is particularly noteworthy is that the ECJ focused exclusively on Article 19(1) TEU, which the Court described as giving ‘concrete expression to the value of the rule of law stated in Article 2 TEU’ having previously recalled that mutual trust between national courts ‘is based on the fundamental premiss that Member States share a set of common values on which the European Union is founded’. On the basis of a combined and powerful reading of Articles 2, 4(3) and 19(1) TEU, the Court underlines, more than ever before, the duties of national courts under the EU Treaties and in particular, their duty to ensure ‘that in the interpretation and application of the Treaties the law is observed’ while repeatedly observing that in order for the EU legal system to operate efficiently and for individuals to continue to benefit from the principle of the effective judicial protection of their EU rights, it is essential that national courts remain independent. Whilst the outcome of the case itself is not surprising, it is the Court’s approach which is particularly noteworthy. Before concluding that the ‘salary-reduction measures at issue in the main proceedings cannot be considered to impair the independence of the members of the Tribunal de Contas’, the Court referred to a number of criteria which must guide national courts should they have to review measures which are alleged to infringe judicial independence: Are the measures specific to judges? Are the measures justified by an overriding reason of public interest? Can they be considered to weaken their independence? In the present case and on the basis of these criteria, the Court convincingly concluded that ‘the second subparagraph of Article 19(1) TEU must be interpreted as meaning that the principle of judicial independence does not preclude general salary-reduction measures, such as those at issue in the main proceedings, linked to requirements to eliminate an excessive budget deficit and to an EU financial assistance programme, from being applied to the members of the Tribunal de Contas’. The principle that national courts must be independent is not new in EU Law (see for instance Article 47 of the EU Charter of Fundamental Rights ‘CFR’ hereinafter). What makes the Court’ ruling in this case particularly significant is the way the Court exclusively relies on Article 19(1) TEU having emphasised early on in its judgment that this provision may be relied upon in national situations irrespective of whether the Member States are implementing EU law within the meaning of Article 51(1) CFR. This is a welcome but nonetheless ground-breaking interpretation. In a nutshell, this interpretation of Article 19(1) TEU gives the principle of effective judicial protection a much wider scope of application that it would have on the basis of Article 47 CFR which is subject to Article 51(1) CFR. Article 19(1) TEU (added to the EU Treaties via the Lisbon Treaty) may therefore be ‘triggered’ in a much broader set of national situations than Article 47 CFR and in areas where there is very little to no EU acquis. It may be worth briefly recalling at this stage that EU Law cannot be relied upon in every national legal procedure. For instance, in ‘purely internal situations’, where no links with EU law can be established, the ECJ lacks jurisdiction. The scope of application of the EU Charter is similarly limited by its Article 51(1). While the ECJ did adopt a broad interpretation of the notion of ‘implementation’ of EU law by Member States, the Court has also established that where ‘a legal situation does not come within the scope of European Union law, the Court does not have jurisdiction to rule on it and any provisions of the Charter relied upon cannot, of themselves, form the basis for such jurisdiction’ (C-617/10, para 22). The issue of whether the salary reductions of the Portuguese judges constitutes a purely internal situation is therefore key. As there is no EU rule governing the remuneration of national judges, one may have concluded that the ECJ lacked jurisdiction in this case. The temporary reduction in the amount of public sector remuneration was however based on mandatory requirements imposed on the Portuguese Government by the EU to reduce the Portuguese State’s excessive budget deficit in 2011 in order to receive financial assistance. To that extent and as in the case of Florescu (EU Charter applies to national measures adopted to meet the conditions attached to the financial assistance granted by the EU to a Member State), one could have retorted that the salary-reduction measures had to trigger the application of EU Law. Had the Court gone down that route, Article 47 CFR would have been available to review the compatibility of these measures with EU law, including the principle of judicial independence. Yet, the Court chose another route without much explanation, or even no explanation at all, whereas the Article 47 CFR may also have been applied in the present case. The fact that the Court relied exclusively on Article 19(1) TEU to protect judicial independence at Member State level may be understood as an implicit answer to the increasing and sustained attacks on national courts by ruling parties in countries such as Poland (see section 4). By exclusively relying on Article 19(1), the Court has enabled natural and legal persons to challenge a broader set of national measures. Indeed, the notion of ‘fields covered by Union law’ mentioned in Article 19(1) is broadly interpreted by the Court and should now be understood as being wider than the notion of ‘implementation’ laid down in Article 51(1) CFR. The Court has gone therefore beyond the limited functional necessity of national remedies sufficient to ensure the application of EU law and now requires that Member States guarantee and respect the fundamental requirements of justice as defined by EU law and the ECJ itself, failing which they can be sued directly on the basis of Article 19(1) TEU. To give an example, Member States must ensure that national courts can exercise their ‘judicial functions wholly autonomously, without being subject to any hierarchical constraint or subordinated to any other body and without taking orders or instructions from any source whatsoever’. Any national measures which infringes this standard may now be found incompatible with the principle of judicial independence on the sole basis of Article 19(1). What is yet to be determined is how much broader is the scope of Article 19(1) TEU in comparison to the scope of Article 47 CFR. In other words, how should the notion of fields covered by EU Law be understood compared to the notion of situations covered by EU Law (Fransson)? At the very least, the present ruling now makes it possible for national litigants to rely on the principle of judicial independence in situations where the Charter may not be applicable by relying on Article 19 TEU. This new approach means for example that in cases such as Torralbo Marcos the ECJ would now probably accept jurisdiction to review whether national measures are compatible with the principle of effective judicial protection. We would further argue that the Court’s present ruling must be understood as making Article 19(1) TEU a relevant standard for reviewing national measures irrespective of whether the situation is connected or not with EU law. Article 19(1) TEU may from now on be relied upon to challenge any national measure which may undermine the independence of any national court which may hear ‘questions concerning the application or interpretation of EU law’ (para. 40). The key ‘test’ is therefore whether the relevant national court has jurisdiction (or not) over potential questions of EU law. If this understanding is correct, the Court’s approach may be viewed as ground-breaking as most if not all national courts are, at least theoretically, in this situation. In establishing a general obligation for Member States to guarantee and protect judicial independence on the basis of a combined reading of Articles 2, 4(3) and 19(1) TEU, irrespective of whether the situation falls within the scope of EU law, the Court’s ruling is reminiscent of the 1925 US judgment of Gitlow v New York, in which the Supreme Court held that the Fourteenth Amendment to the US Constitution had extended the reach of certain limitations on federal government authority set forth in the First Amendment to the governments of the individual states. In the present case, one may argue that the ECJ has essentially made the EU principle of effective judicial protection (including the principle of judicial independence) a federal standard of review which may be relied upon before national courts in virtually any situation where national measures target national judges who may hear actions based on EU law. 4. A decisive shot across the Polish bows? [T] here is however no legal obstacle preventing the Commission from using the infringement procedure to simultaneously investigate a set of diffuse and/or cumulative breaches of EU values in conjunction with EU principles such as the duty of loyalty, which is enshrined in Article 4(3) TEU … or the requirement that Member States ‘shall provide remedies sufficient to ensure effective legal protection in the fields covered by Union law’ (Article 19(1) TFEU). Article 258 TFEU does indeed speak of the necessity to ensure that the Member States fulfil any ‘obligation under the Treaties’. This also means that there is no legal hurdle preventing the Commission from bundling numerous apparently minor violations to demonstrate a pattern which itself could amount to a breach of Article 2 TEU. ‘Like the protection against removal from office of the members of the body concerned … the receipt by those members of a level of remuneration commensurate with the importance of the functions they carry out constitutes a guarantee essential to judicial independence’. Even more significant are the standards used by the Court when reviewing the disputed measures. For the Court, the salary-reduction measures do not infringe the EU principle of judicial independence because they were a limited and temporary reduction of remuneration to help lower ‘the Portuguese State’s excessive budget deficit’ and applied to various categories of public sector employees. The disputed measures could not therefore ‘be perceived as being specifically adopted (our emphasis) in respect of the members’ of the Portuguese Court of Auditors. This suggests, a contrario, that national measures which are (i) not justified by overriding reasons of public interest; (ii) are permanent and general in nature; and (iii) specifically target the judiciary or specific courts (e.g. a Supreme Court) could be considered by the ECJ ‘to impair the independence’ of relevant courts and their members and as such be held incompatible with the second subparagraph of Article 19(1) TEU. (d) With respect to countries where the national judiciary may already be captured in whole or in part by the ruling party, which may result in requests for preliminary rulings being systematically denied even at the level of courts of last resort and/or national judgments offering interpretations of EU law in bad faith, the Commission should systematically initiate infringement actions (Case C-154/08 is noteworthy in this respect). EU institutions and key actors must wake up to the existential dangers raised by increasing rule of law backsliding within the EU. Following this welcome development in Luxembourg, it is to be hoped that the Commission will stop hesitating about whether to rely on Article 19(1) TEU in its infringement actions (see this post by Professor Taborowski for a critique of the Commission’s moving and excessively cautious legal position in the context of the pending infringement case against the Polish law on the organisation of ordinary courts). One may only hope also that the Commission will aim to think more strategically about rule of law backsliding. It was disappointing in this respect to see the Commission raising the inadmissibility of the request for a preliminary ruling in the present case or failing to initially think of requesting from the Court the imposition of a penalty payment in the Białowieża Forest infringement case when the Polish government so defiantly refused to comply with a previous order of the Court. The time for dialogue has past. The time for action (and sanction) is now.